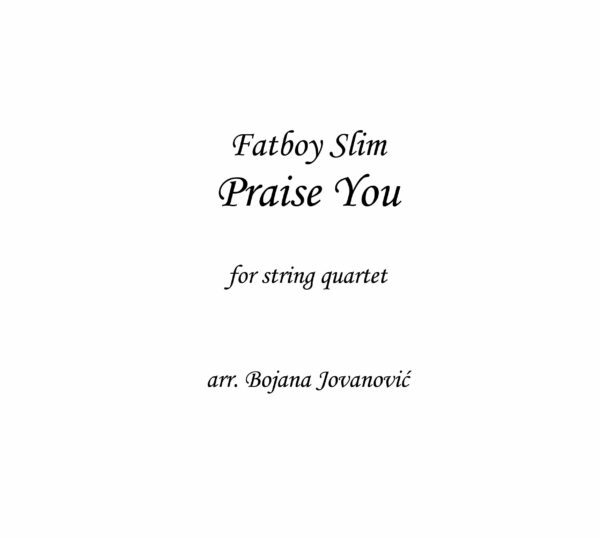 Fatboy Slim Sheet music presents you songs of this artist written as arrangements for String quartet: Praise you. 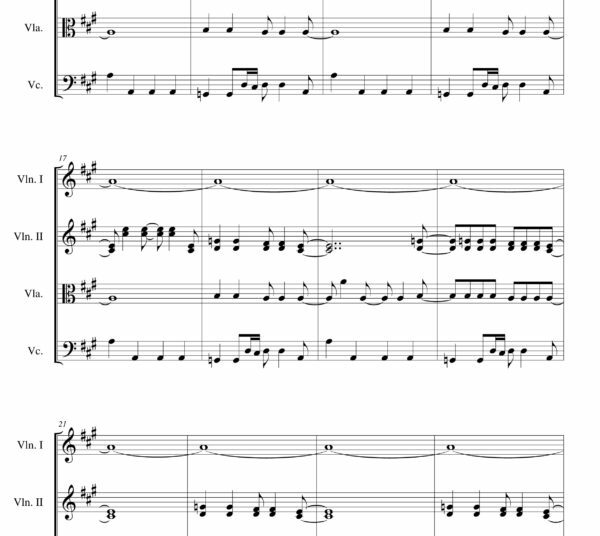 All songs have midi recording so you can hear sound sample of arrangement. Fatboy Slim (Norman Quentin Cook) is an English DJ, musician and record producer/mixer. As a solo electronic act, he has won ten MTV Video Music Awards and two Brit Awards. His records as Fatboy Slim also helped to popularise the big beat genre. Cook first rose to fame in the 1980s as the bassist of the indie rock band The Housemartins who scored a UK number-one single with their a cappella cover of Isley-Jasper-Isley’s “Caravan of Love”. After the band split, Cook formed Beats International whose début album spawned their signature hit, “Dub Be Good to Me” which was another UK number-one as well as going on to become the seventh best-selling single of 1990 in the UK. Cook adopted the Fatboy Slim moniker in 1996 and released Better Living Through Chemistry to critical acclaim. Follow-ups You’ve Come a Long Way, Baby, Halfway Between the Gutter and the Stars, and Palookaville, as well as their associated singles, including “The Rockafeller Skank”, “Praise You”, “Right Here, Right Now”, “Weapon of Choice”, and “Wonderful Night”, were also met with positive reviews and commercial success.